The small cooler by Outdoorer in fresh green. The design is called Cool Butler 25. It keeps food and drinks nice and cold and ready for eating or drinking, it is an ideal cool bag for the car, the bicycle, for a picnic, for the beach or for shopping. It is also suitable as a heat pocket, for example, to keep food warm. It has a 25 litre volume. At a height of 35 cm, it can take even 1.5 litre PET bottles easily. The handles are covered as in a travel bag, so the cooler is well in hand. Do you have to wear them a little further to the beach or a picnic, so it also has a practical carrying strap. On the front it has a compartment for additional things that you want to have easy reach. You can buy the Cool Butler 25 via Amazon. Where is the cool bag Cool Butler 25 available? 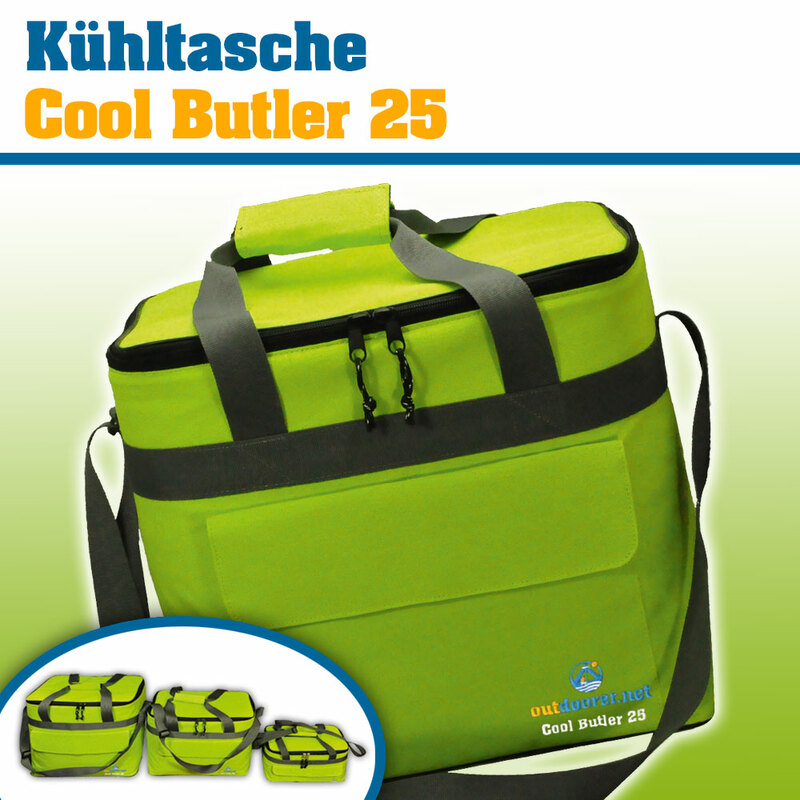 The small cool bag Cool Butler 25 can be ordered in our Amazon shop.